Happy Sustainability Week from Guelph Food Waste! This past Monday, University of Guelph students went on a tour to the Waste Diversion Plant located on Watson Rd. in Guelph. After donning super exciting reflective vests, hardhats, eye protectors, and toe covers, a group of about 15 students spanning a variety of disciplines were taken to the organic composting facility as well as the recycling plant. Guelph is a Tier 1 waste management facility, which means that all waste that comes into this facility is processed on site. The waste received at this specific facility is from the City of Guelph and the Region of Waterloo. This facility formerly recycled plastics and other matter from Michigan, but has recently ceased those operations. The city of Guelph operates a rotational waste collection system: Week A and B. Residents are asked to put out your organic waste weekly, along with either recyclables or trash, rotating every other week. Organic matter that is taken to the facility becomes compost over several weeks. It is put in a series of tunnels with moisture and temperature carefully monitored. After about 6 weeks, the compost is then of a quality that is suitable for agriculture or landscaping purposes. Recycling in Guelph is sorted by both machine and by hand. Plastics, paper, and metal are separated. Metal is first separated by magnet. Like items are consolidated and then put into large pallets to be re-sold. Recently, the facility has started to accept Styrofoam as a recyclable item, but only if residents drop it off themselves. In the future, residents may be able to put their Styrofoam waste in their blue bins, but not now. If you are interested in touring the waste facility yourself, you can contact the Guelph Resource Innovation Center by visiting their website here. One of the primary issues with household food waste is that many home cooks have the best of intentions but lack the know-how to reduce waste in the kitchen. When performing surveys last summer, I often found that when I asked people how easy it would be for them to reduce their food waste, they often struggled to think of ways that this could be done. Improving kitchen skills in order to make less waste the norm can be helpful. The food waste that comes out of the kitchen is mostly avoidable, but avoiding waste requires some commitment and effort, at least until it becomes habit. 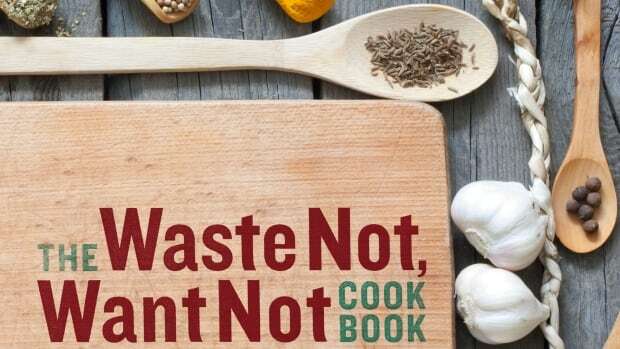 To help with the practical and delicious side of cooking without waste, Cinda Chavich has created a new cookbook, Waste Not, Want Not Cook Book: Save Food, Save Money, Save the Planet. Another new book is the Waste-free Kitchen Handbook by Dana Gunders of the National Resource Defense Council. So if you’re keen to join the new green food trend of waste free cooking, you may want to check them out. My favourite way to save my groceries from rotting in the fridge is to use the search tools on Food Gawker for recipes using those particular ingredients. Happy cooking! Hear Chavich talk about food waste and her book here. 4.5 kgs of food a week! Does MY house waste that? Here at the Guelph Food Waste Research Project, we are most interested in households’ food wasting habits: what you waste, why you waste it, and your beliefs, attitudes, and behaviours around food waste. It’s a fascinating exploration! For two years, we’ve been collecting data on how much and what kinds of food we are wasting at home, and then connecting this data with survey results to discern the reasons why we waste food at home. The average household’s weekly food waste production was 4.5kg. Do you waste this much food? Think about it carefully, because another finding we uncovered was that the more you are concerned about waste, the less food you throw away. 64% of all food waste was avoidable or possibly avoidable. Think next time you want to toss food. Is it actually inedible? Is it leftovers you don’t feel like anymore? Think of the cost that went into producing that meal, and how much more energy it will take you to cook a new one. Is it nearing its best-before date? Toss it in the freezer or fridge to halt that progression of time. Is it more than your family can eat? Next time, plan your shopping so you don’t end up in this situation. Making a list and checking your fridge before setting out is a really simple action that is proven to significantly help you prevent food waste. Is it really “waste”? Why do we cut off the most nutritious parts of apples, potatoes and carrots—their peels? Maybe think twice about chucking beet greens, carrot tops, and bones. All of these can be repurposed into more delicious food! 50% of avoidable food waste was fresh fruits and vegetables. 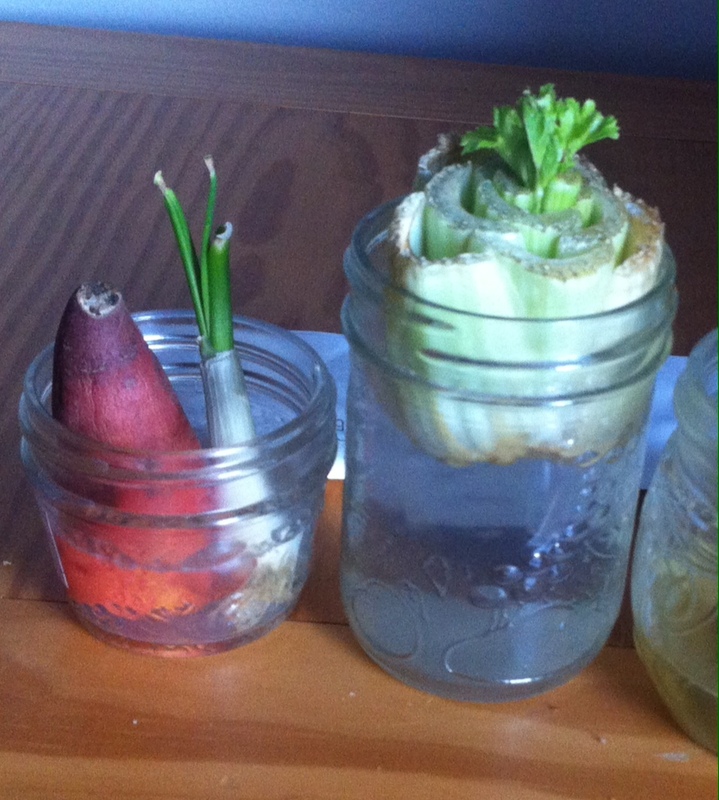 Come see us at the Green Living Show for a suite of tips/tricks on how to extend the life of your fresh produce. But in the meantime, check out the highly useful storage tips chart here. Who knew apples are finicky bedfellows that cause other types of produce to age faster? Eating out more means more food waste. You do a big weekly shop, but get busy during the week and end up buying lunch at work, or picking up take-out on the way home. …but then all the food in your fridge remains uneaten, and eventually turns into waste. If this sounds like a problem you have, look here for easy meal planning resources to help you take control of your hectic weeks! Or tell the LoveFoodHateWaste website what you’ve got, and they’ll give you recipes to save you the “what’s for dinner” headache. The more food-aware and waste-aware our respondents were, the less food waste they created. So don’t stop learning and thinking about food waste, and keep experimenting with new tactics to lower your food waste levels…so you can boast that you are lowering these sobering statistics! It is encouraging that we are seeing more and more discussion on food waste. It is becoming a mainstream issue. The challenge becomes making real progress on food waste. I believe we spend too much time on diversion (but that’s my next blog post) but reduction is tough and we need to understand what we’re wasting and why we’re wasting it in order to make progress, This has been a primary focus of our research. Gooch et al (2014) make a substantial contribution in attempting to quantify the total value of food wasted in Canada. Their 31 billion dollar number is staggering. It is difficult for us as individual Canadians to conceive how we can make a contribution to reducing that number. Making the numbers relevant to individuals provides, in my opinion, the impetus for motivating real change at the household level. We’re fortunate to have municipal partners in York Region and the City of Guelph who are interested in the details – in understanding what volume is wasted, what is in the waste and what factors contribute to that waste. This work is ongoing and we will be back in the field again this summer. If you’re interested the first academic publication is out (Parizeau, K., von Massow, M., & Martin, R. (2015). “Household-level dynamics of food waste production and related beliefs, attitudes, and behaviours in a municipality in Southwestern Ontario,” Waste Management. 35.) but I thought I’d just summarize some of the key findings in that and new research. These details are the key to motivating reduction. More work is critical to building that understanding. We found that the households we evaluated threw out more than 4 kgs of food a week. Part of the problem is that many of us don’t realize how much we throw out. About a third of that is unavoidable – trim, banana peels and coffee grounds for example. That means two thirds is aoidable or at least partially avoidable (that distinction is also a future blog post). Half of the total (and more than 60% of the avoidable) are fruits and vegetables which means we are throwing out a significant volume of some of the healthiest stuff in our kitchens. This is clearly some of the product that is hardest to keep fresh but food skills and planning can likely quite easily reduce this volume. This worth understanding and adds insight to reduction efforts. We also asked households to complete a survey. We found that both food awareness and waste awareness (separately) reduced the amount of waste. Waste awareness is simply a consciousness of and concern about waste. If you think about it you throw less out. That makes sense. Food awareness is simply thinking about food. The more you think about it and value it, the less likely you are to throw it out. Much of the communication around food waste diversion and reduction is couched in an environmental context – highlighting the environmental costs and impacts of both production and landfilling food waste. We found that, while environment does matter, economic and social (food security) implications are more resonant for these households relative to food waste. It is clear that understanding the specific details of what is wasted and why is critical to making real progress on food waste reduction. We’re excited to be doing this work. Stay tuned to this blog as more details become available.